Quickly and accurately measure the Calcium concentration in saltwater aquariums! Every test kit batch is certified and approved by Aquaforest ICP-OES testing reference solutions. 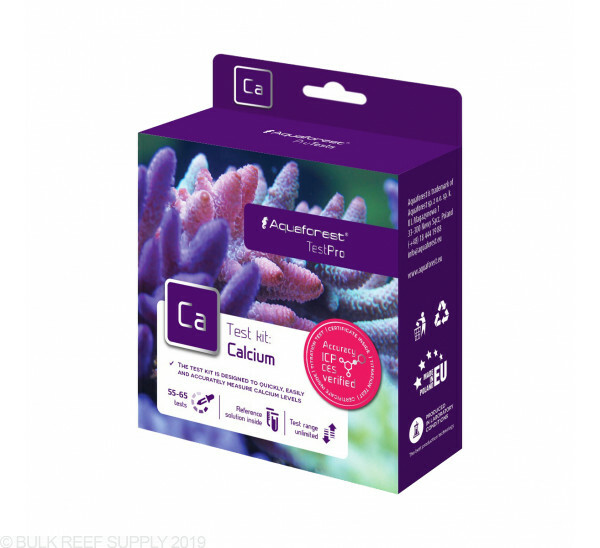 Aquaforest marine test kits are designed to quickly and accurately measure the concentration of calcium in reef tanks and other marine environments. As corals grow, they intake calcium and carbonate ions and through a biological process forming their hard skeletons. 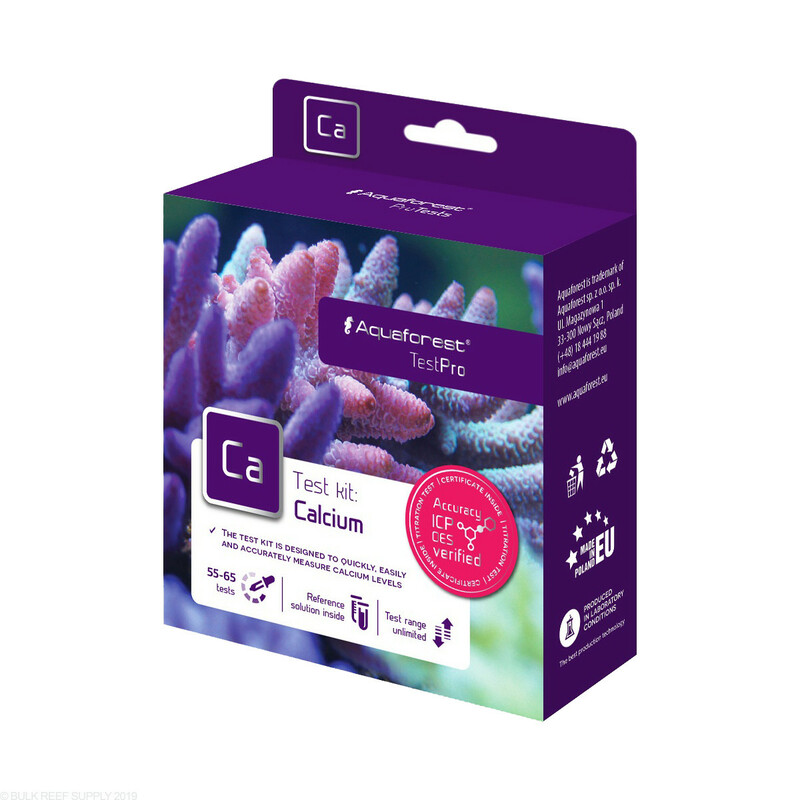 Regular testing of calcium is significant for any saltwater tank, especially in coral reef tanks along with alkalinity and magnesium levels. Identical test process as the Salifert Ca test kit and I get matching readings from the AF and Salifert kits. Simple 3 step process with a fairly clear color change. The AF kit includes a standard solution that allows you to practice a couple times so see the results line up with the expected reading. I have been using Red Sea for 2 years. I feel these tests are easier to use than the Red Sea ones. It comes ICP certified. Also comes with a reference solution at 425ppm +/- 1% to use in case you had question where the color change should be. It's very difficult to determine when the solution turns blue. . The solution itself doesn't turn blue. As you add reagent, blue "chunks" fall out of solution. And this blue snow is what you are reading . I have used Red Sea,Hanna and other but I have to say it’s the easiest to use. The tall vial is awesome and the fact they give you the test solution that has been ICP verified you know if your testing properly.